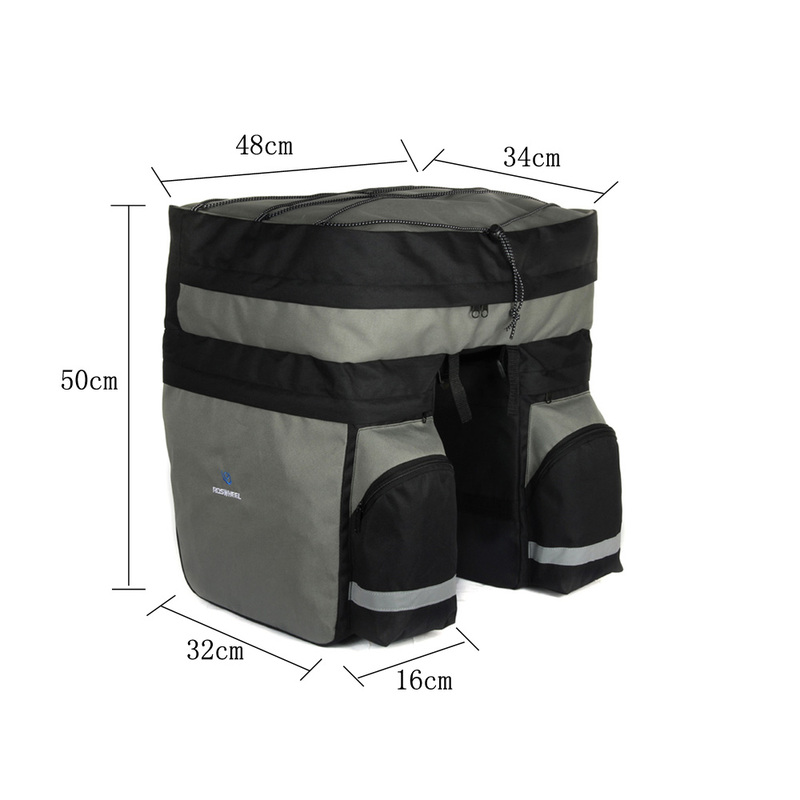 CARRY YOUR EQUIPMENT CONVENIENTLY ON YOUR LONG DISTANCE CYCLING TRIPS IN THIS LARGE 60L 3 BAGS REAR RACK CARRIER: ONE ON THE TOP AND TWO ON THE SIDES. Adopts 900*600D strong and water resistant polyester, super lightweight and durable. Strong cord and zippered pouch. Contents total 60L, supplying enough space. Reflective stripe for safe riding during the night. Easy to attach to all type of rear rack. Suitable for any cycling trip.